Daron Malakian and Scars on Broadway's official video for "Lives" premiered on April 23. 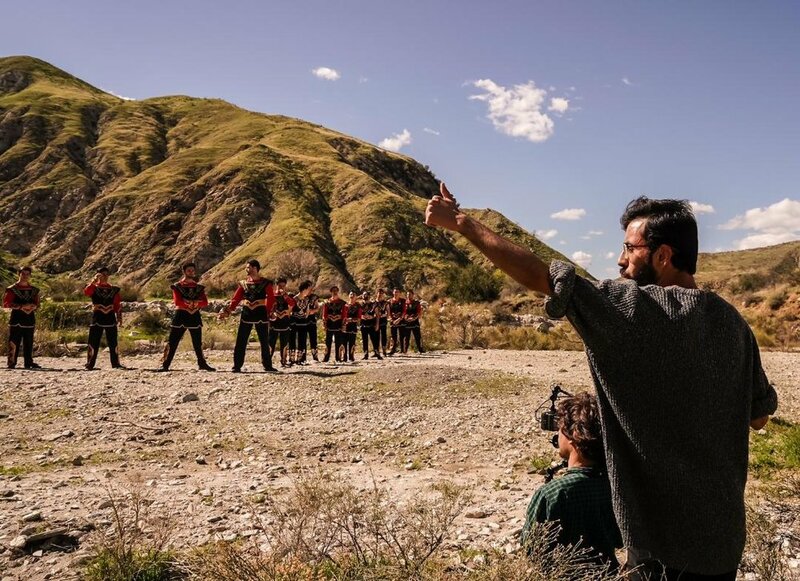 Armenian Film Society spoke with its director, Hayk Matevosyan, about the music video, its influences, and how he got his start in the industry. Armenian Film Society: Can you share some information about your background? Hayk Matevosyan: I was born in Armenia during the times of Nagorno-Karabakh war. Due to the blockades, the Armenian government was unable to provide the state with electricity for more than two hours per day. I remember my father rented all kinds of movies on VHS tapes and we used those 2 hours to watch movies. I wandered in the alternate worlds that cinema offered which made me happy as a kid in the harsh reality. I immigrated to the US at the age of 17 with my family. In 2013, I graduated from UCLA School of Theater, Film and Television, and started working for Penelope Spheeris (The Decline of Western Civilization, Wayne's World). Since 2015, I’m blessed to be mentored by Mardik Martin, whose screenplays have brought to life some of Martin Scorsese’s most iconic films (Mean Streets, Raging Bull). Over the past 2 years, I directed 18 projects (music videos, short films, video-art) with the same cinematographer, Justin Richards. Next month, I will travel to Peru as part of the mentorship program where I will make a short film under the guidance of legendary filmmaker, Werner Herzog. I’m currently writing my feature-length screenplay. AFS: How did the concept of the music video for "Lives" come to be? HM: Daron wanted to make a music video for the song “Lives” that would center on Armenian dances. After he saw and liked my previous work, he was generous enough to trust my artistic vision and ability as a director to make the music video. AFS: There are obvious references to Sergei Parajanov in the video. How did that come about and make its way into the video? HM: There are some moments in the video that are a deliberate “visual love letter/appreciation” to Parajanov, who is one of my favorite filmmakers. I personally think that it is impossible to imitate him, but as a visual artist, I always get inspired by great filmmakers that came before me and I use that inspiration to create something that is unique to my personal visual style. AFS: What was it like working with dancers and collaborating with the choreography team? HM: In this video, there were 5 different dance ensembles (La Imperial Dance, Barekamutiun International Dance Studio, Zvartnots Dance Ensemble, Hayastan Cultural Center, Krounk Dance Studio). It was an absolute pleasure to be able to work with all of them. Each of the dance ensembles had their own original choreographed dances based on the song. I’m really thankful to all of them for the dedication and hard work. AFS: What was the collaboration process with Daron Malakian like? How involved was he in creating the look of the video? HM: It was an unbelievable experience. Daron is super humble and I think he is a creative genius. He was involved in the video from the concept to post-production. He had a clear idea of what he wants to see visually, but at the same time, he gave me full creative control over the video. AFS: You're very independent-spirited, in the sense that you often work with limited resources on your projects, and yet maximize the potential. Can you talk about that as it relates to this project? HM: I’m lucky in this music video to have no creative limitations. I’m happy that Daron’s concept and my artistic vision matched perfectly. We had over 50 people involved in this video. From dancers to production assistants, all contributed in creating the best possible visuals for the song. AFS: What did you find was the most challenging aspect of this project? HM: Interestingly, the most challenging aspect of the whole project was matching Armenian dances to the rock/metal rhythms of the song. The dancers had to speed up their movements from the Armenian traditional dances to the rock music rhythms. I am beyond proud of all the dancers for their willingness to be part of this project and their hard work.